Lenox Hill Radiology (LHR) | East 77th Street is part of LHR’s network of 25 outpatient radiology centers located throughout the New York metropolitan area. 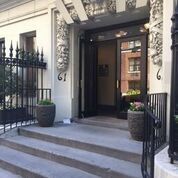 The East 77th Street imaging center, between Madison Avenue and Park Avenue, on the upper eastside of Manhattan is our main location. Our goal is to provide state-of-the-art imaging services coupled with accurate diagnosis and efficient services. Lenox Hill Radiology at East 77th Street, a full-service medical imaging center, offers a complete range of imaging services including MRI/MRA, CT/CTA, calcium scoring, arthrogram, digital and 3D mammography, biopsy, fluoroscopy, ultrasound, digital X-Ray, and DEXA for bone density measurement. We offer a wide variety of MRI options including Extremity MRI and Open MRI, as well as Wide-Open 1.5 T MRI, and Wide-Open 3T MRI units for claustrophobic and larger sized patients. Our new 1.5T and 3T MRI units offer superior image quality for imaging difficult areas like the brain (neurological), small joints, large joints and muscle (musculoskeletal). Also at our East 77th Street location, Lenox Hill Radiology offers high resolution Prostate 3T Wide-Open MRI and MRI-guided Prostate Biopsy. Our East 77th Street imaging centers offers 3D mammography (3D Tomo), the latest technology in breast cancer screening. Studies show that 3D mammography (3D Tomo) detects 40% more invasive cancers than traditional mammography alone. So when it’s time for your annual mammogram, trust the 3D mammo experts at Lenox Hill Radiology. Lenox Hill Radiology is located 1-block from Lenox Hill Hospital between Park Avenue and Madison Avenue just .8 miles from New York Weill Cornell Medical Center, and only 1.5 miles from Roosevelt Hospital. Lenox Hill Radiology at East 77th Street can accommodate all of your imaging needs at one convenient location and offers the latest innovations in medical imaging. Please contact us to learn more about the radiology tests and exams we offer, as well as our convenient appointment times. If you are traveling by train, take the 6 train to 77th Street. By bus from uptown, take the M1, M2, M3, M4 bus to Madison Avenue; from downtown, take the M101, M102, M103 bus to Fifth Avenue.